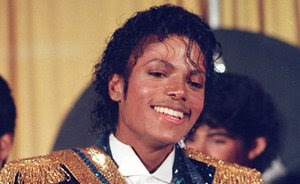 'King of pop' passed away in Los Angeles, at age of 50 after suffering a cardiac arrest. He was just preparing a new tour to kick off across the pond in London. My deepest condolences to his family. Michael Jackson was born in Gary, Indiana on August 29, 1958 and entertained audiences nearly his entire life. His father, Joseph Jackson, had been a guitarist but was forced to give up his musical ambitions following his marriage to Katherine (Scruse). Together they prodded their growing family's musical interests at home. By the early 60s the older boys Jackie, Tito and Jermaine had begun performing around the city; by 1964 Michael and Marlon had joined in.